3rd Annual Trashion Show at 2pm at the Chelan Earth Day Fair. Make your own Trashion for a chance at prizes and bragging rights. 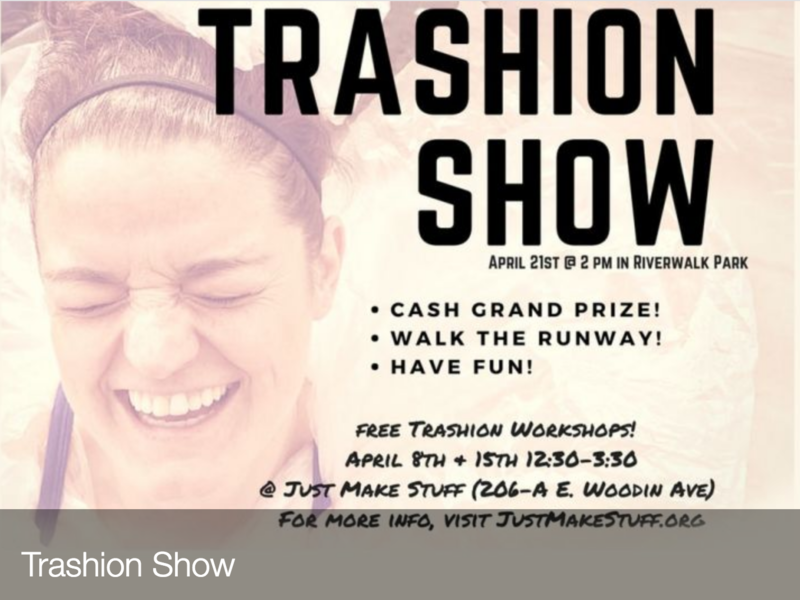 Come early and make your own Trashion at the Just MAKE Stuff booth. Audience Favorite Grand prize winner $50 • Entry with most recycled content $25• Audience Favorite Kids Gift Certificate for Chelan Lanes Bowling center. See the full Class Calendar at our website.